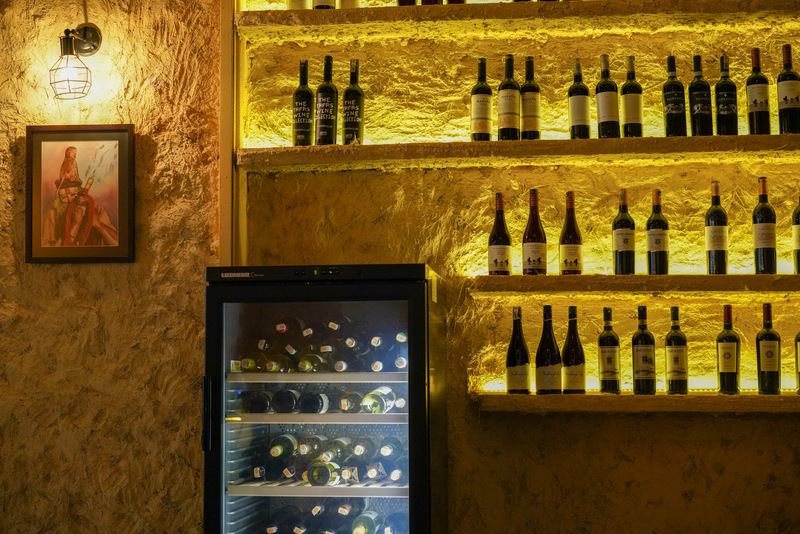 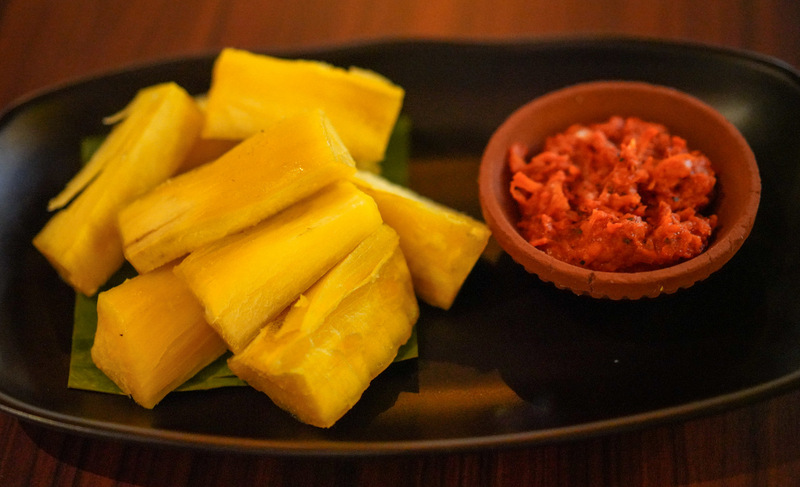 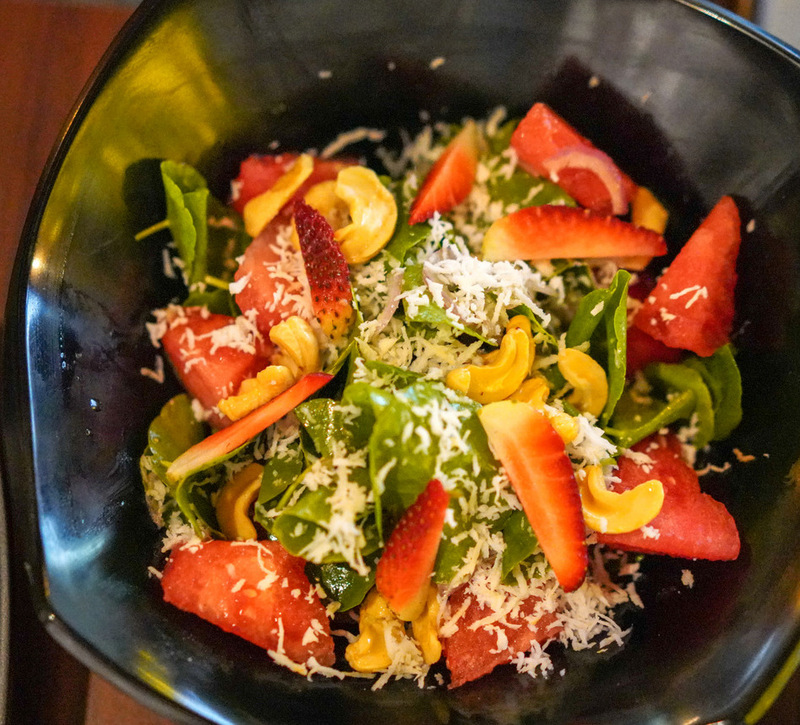 For fans of time-honoured South Asian fare, RaamRavan is a distinctive destination, promising cherished classics not only from across India but Sri Lanka as well, with a nod or two to the Maldives too. 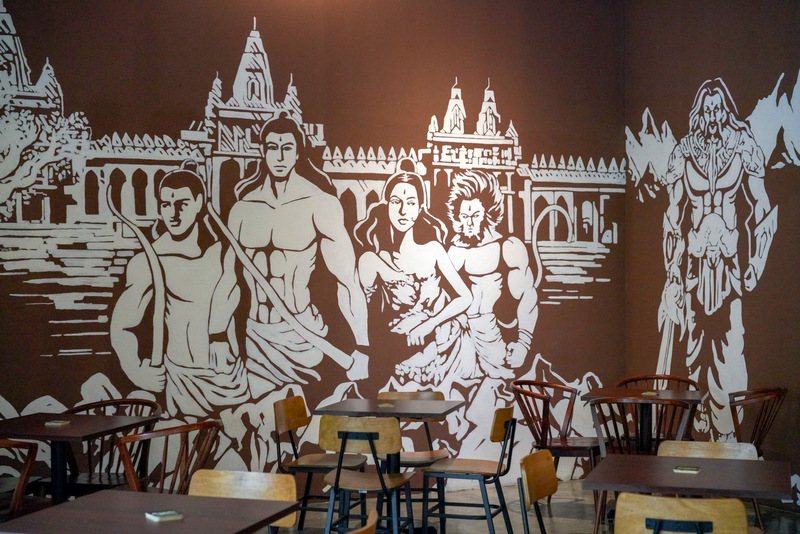 As illustrated by a strikingly beautiful mural within this restaurant, RaamRavan is named for the two figures whose conflict fuels the Ramayana epic, though the venue itself is a labour of love, helmed by a Malaysian couple whose ancestries span both Indian and Sri Lankan lineages, harmoniously bringing together recipes from those nations. 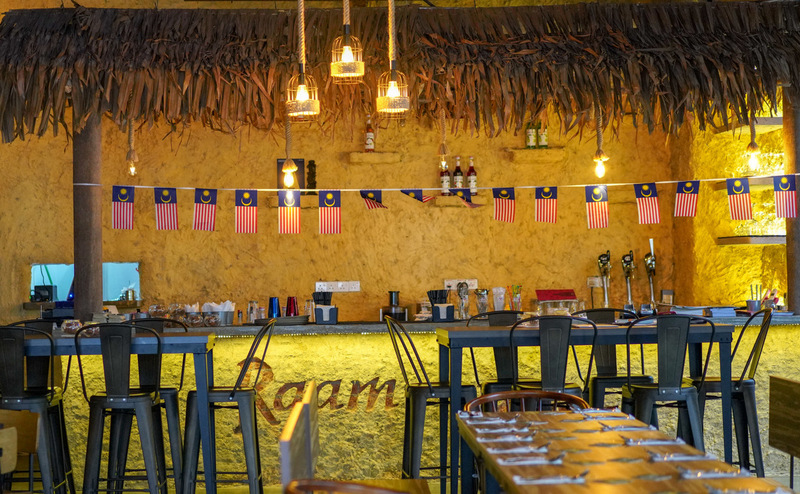 Step inside and it's certainly one of the most intriguingly furnished eateries in Desa ParkCity's Plaza Arkadia, with mud walls and a thatched-roof counter meant to evoke a rustic village scene. 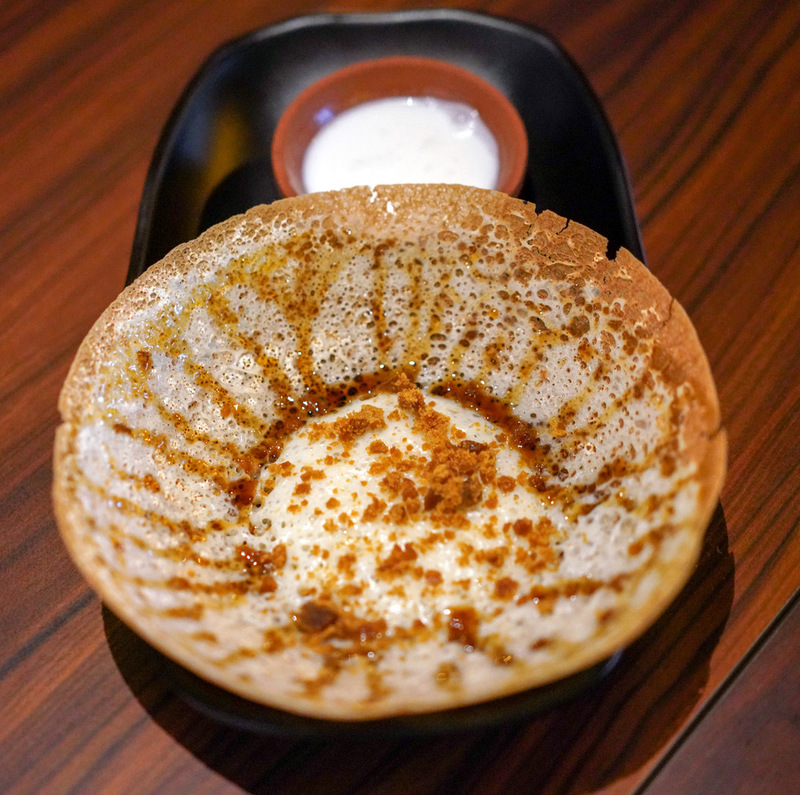 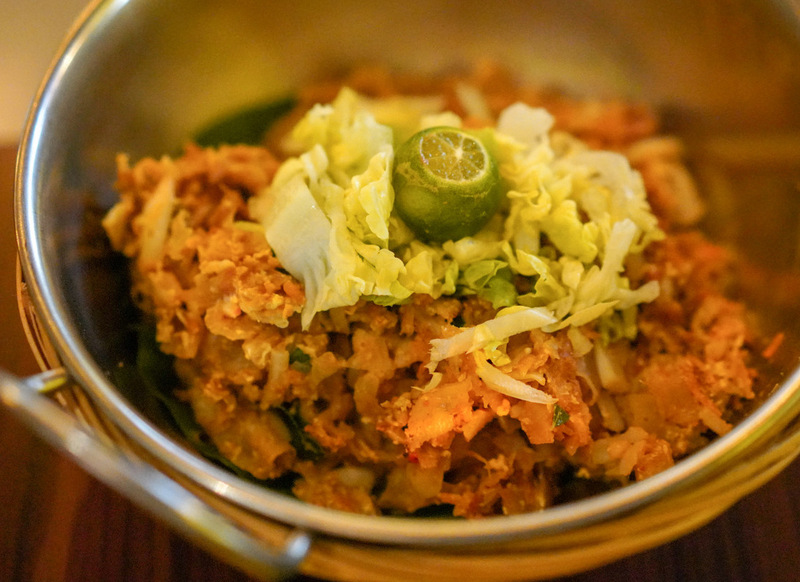 Head here hungry, since there's plenty to sample: Start with the Sri Lankan rice flour hoppers, which come in a variety of flavours, served with everything from mutton kheema to coconut milk or even Nutella or bananas. 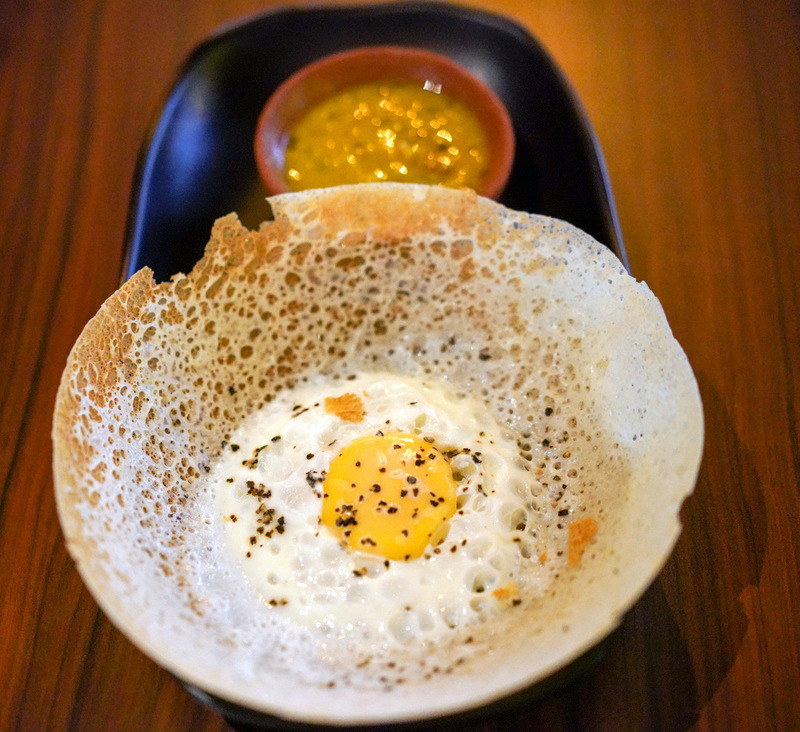 You won't go wrong with the simple pleasures of an egg hopper for a savoury choice (RM7.90) or with Gula Melaka for a sweet one (RM6.90), brought out fresh, warm and well-textured, crisp on the edges, tender at their centre, tasty through and through. 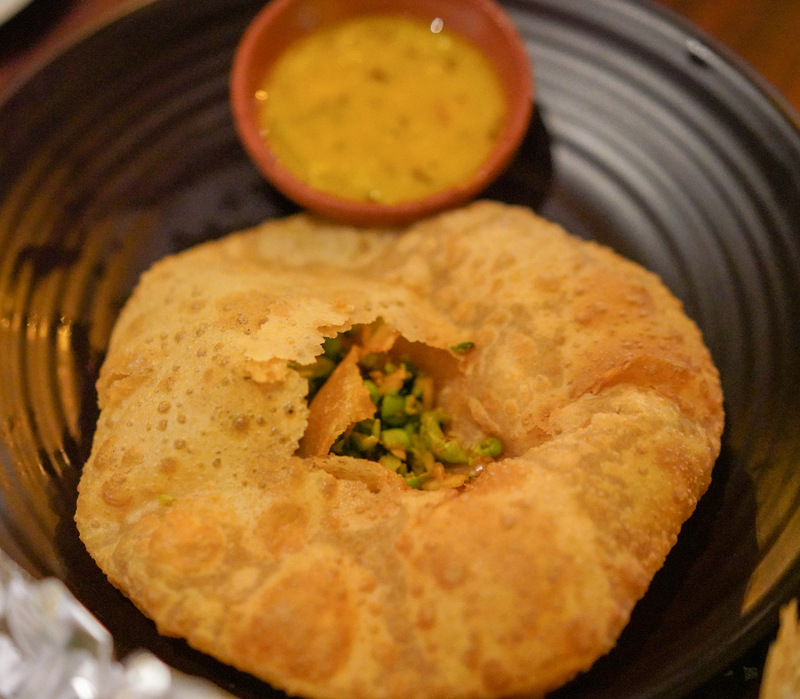 Doughy delights rule too, with everything from paratha to poori accounted for. 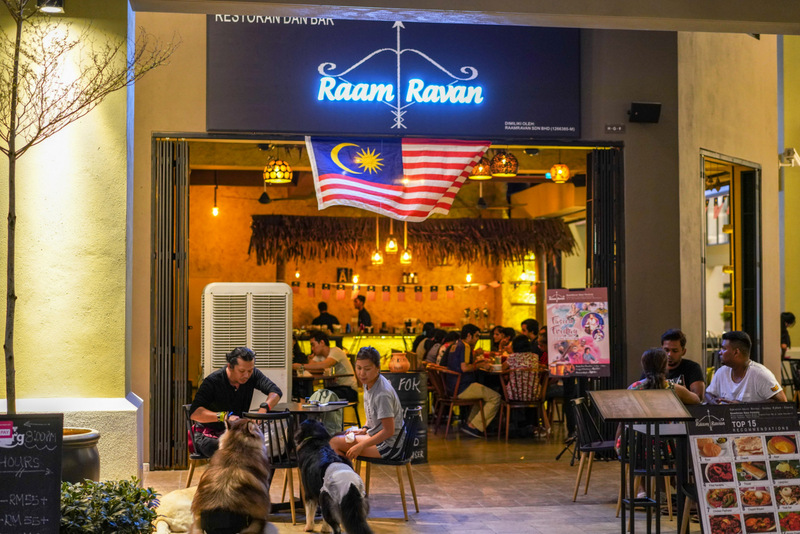 RaamRavan's repertoire is extensive, so you'll find no fewer than 10 types of thosai here - the ghee roast (RM6.90) seems like the ideal introduction, showcasing confidently executed fundamentals. 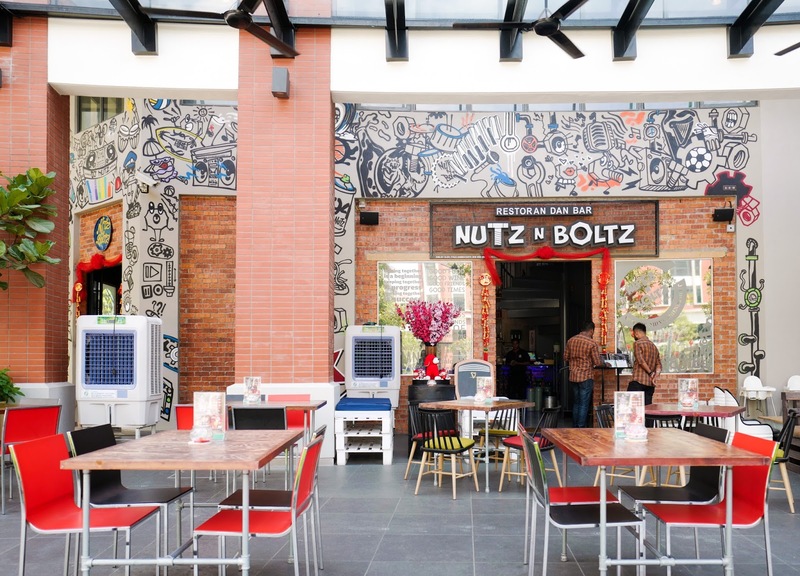 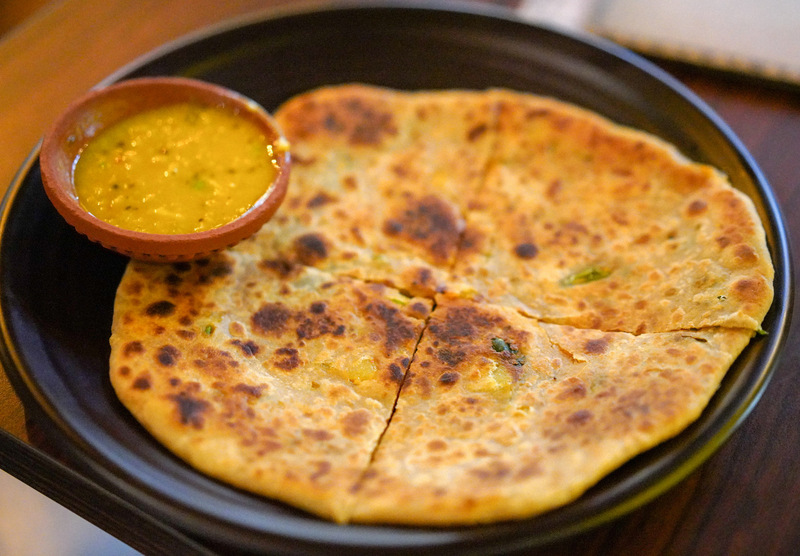 A potato masala paratha (RM10.90) or green pea masala poori (RM9.90) would also work for a light, fuss-free lunch in this casual, comfortable setting. 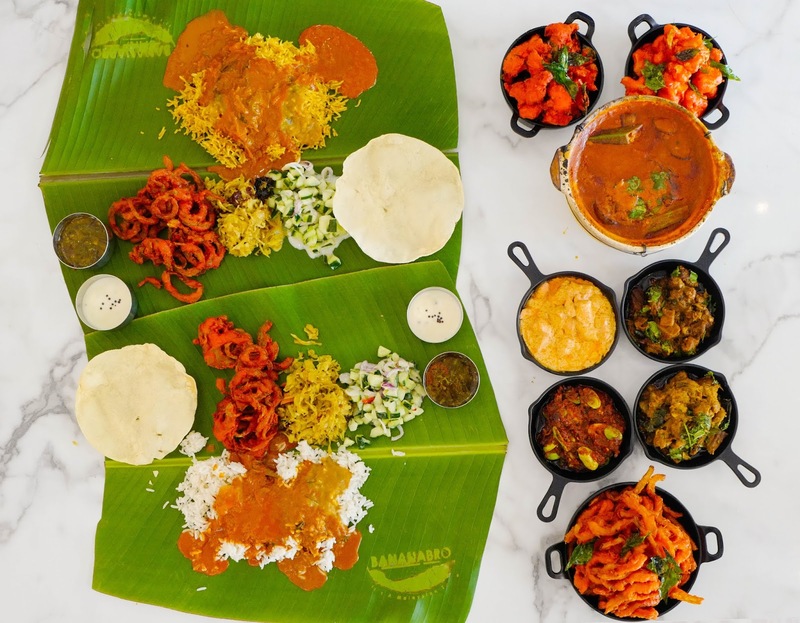 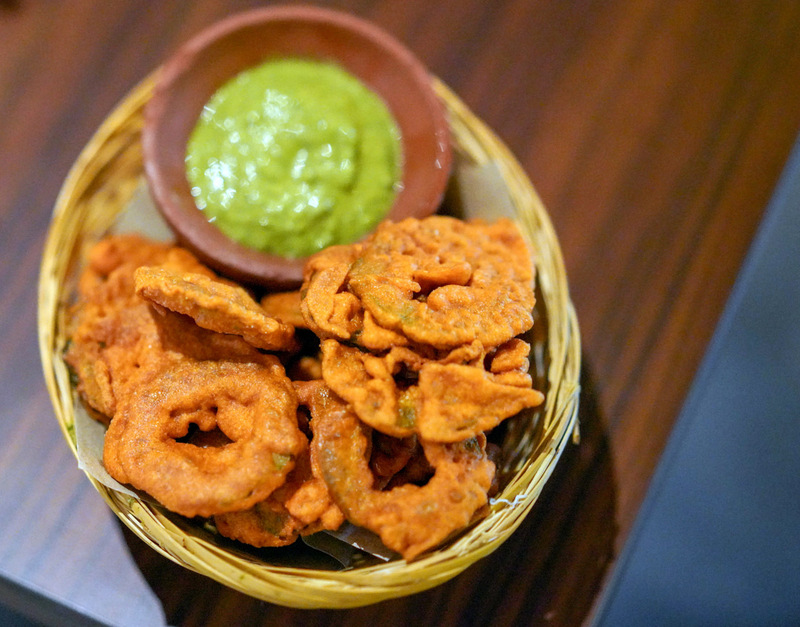 The best way to experience RaamRavan is nonetheless through a communal feast, by ordering a bunch of small plates. 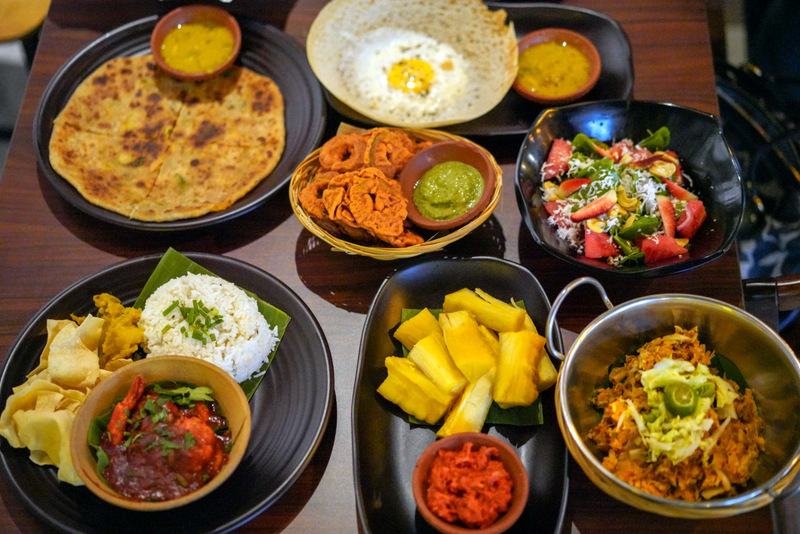 Interesting offerings include the deep-fried battered bitter gourd, an addictive snack balanced with soothingly mellow mint chutney (RM15), traditional chunky steamed tapioca with pol sambol (RM12), a vibrant Asiatic pennywort salad with shredded coconut, cashews and watermelon (RM18), and crab curry kottu, a filling bowl of starchy chopped godhamba roti (RM20). 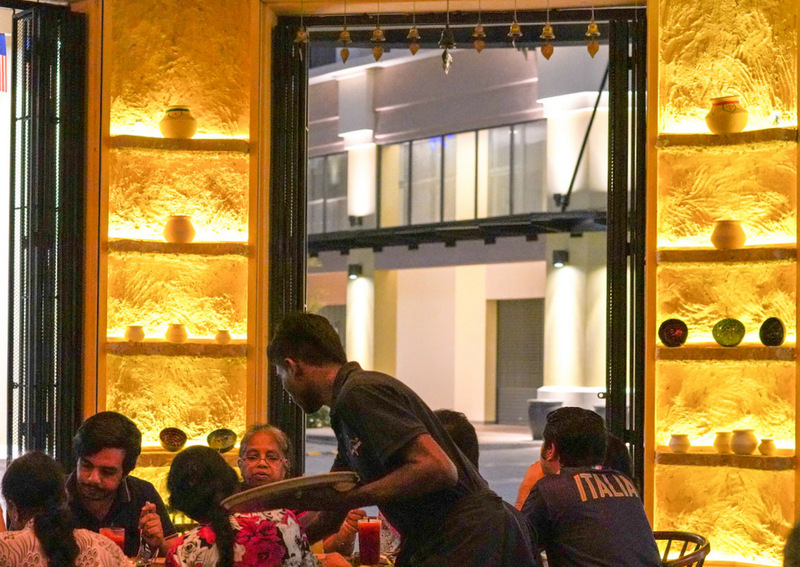 Eating here is an engaging journey through the spectrum of South Asian cooking, highlighting the region's diverse ingredients and preparation styles, with a range of nuances that comprise both the familiar and the less-known for most Malaysians. 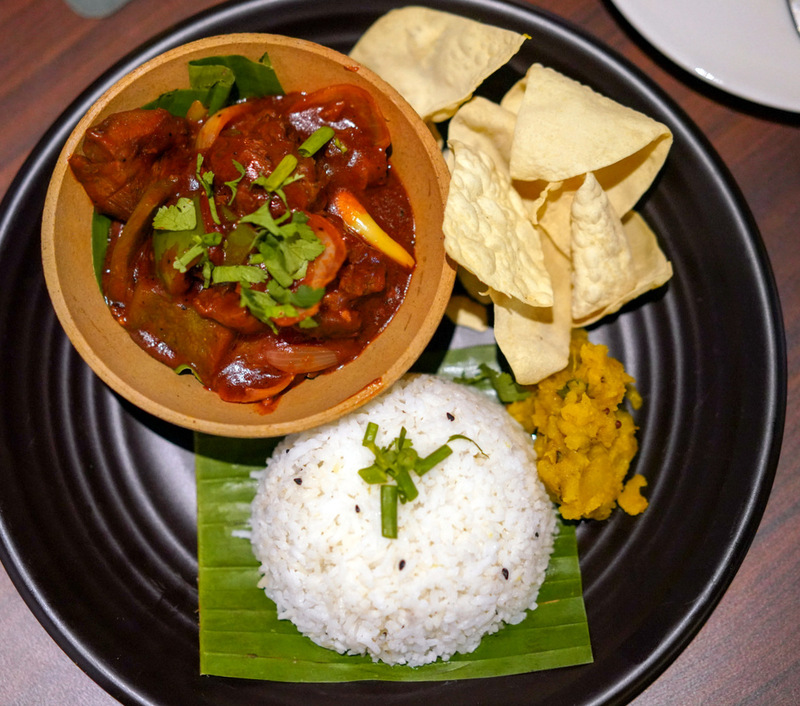 The kitchen's capabilities are evident throughout the rice dishes as well, which confidently harness a mouth-watering medley of spices and seasonings. 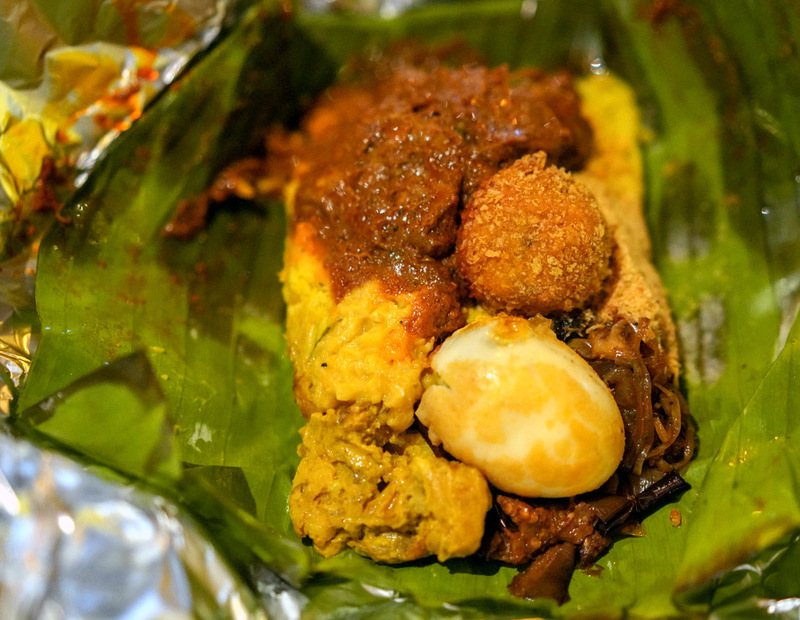 If you're here on Fridays, Saturdays or Sundays, have the lamprais, the Sri Lankan temptation not widely available in the Klang Valley, featuring rice wrapped in banana leaf, mixed with dal, ash plantains, boiled egg, eggplant, and a choice of chicken, fish or mutton (RM27-RM29) - in other words, loaded with deliciousness. 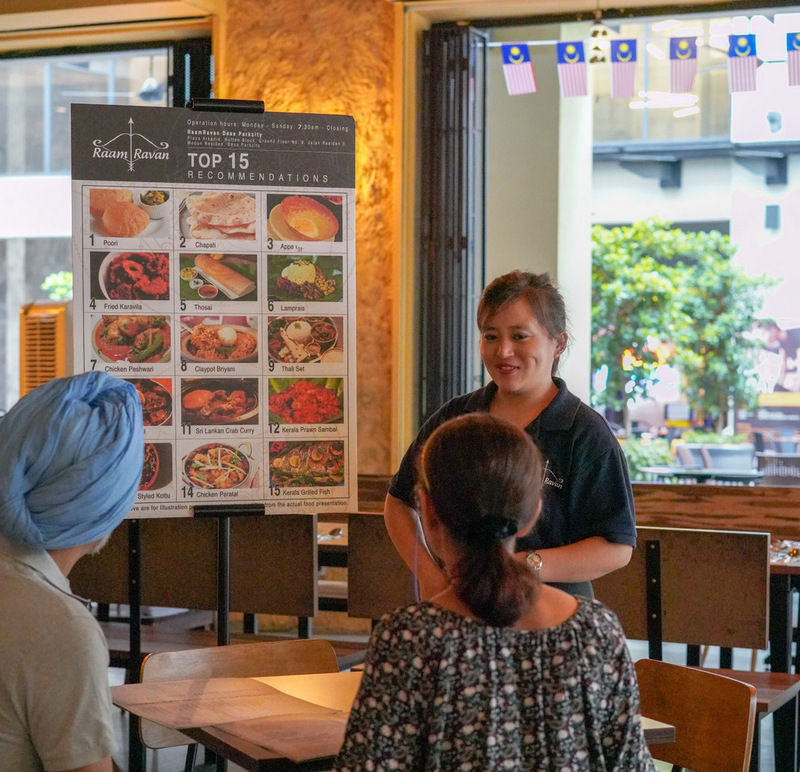 It takes lots of time and work to prepare, which is why it's only offered three days every week. 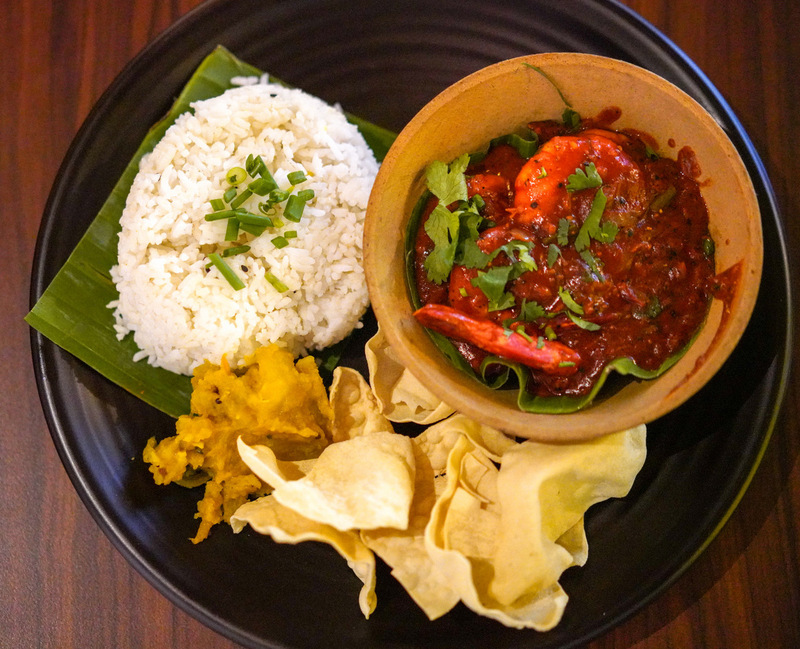 A sense of careful authenticity permeates all these pleasures, including hearty rice platters whose inspirations stretch from Kandy to Kerala, from Kandyan devilled mutton (RM29) to Keralan prawn sambal (RM27). 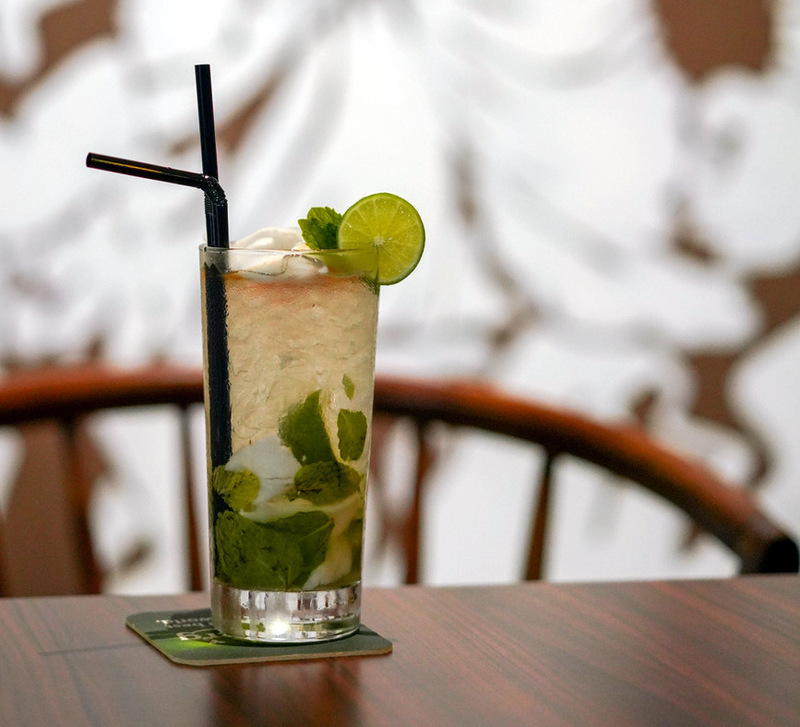 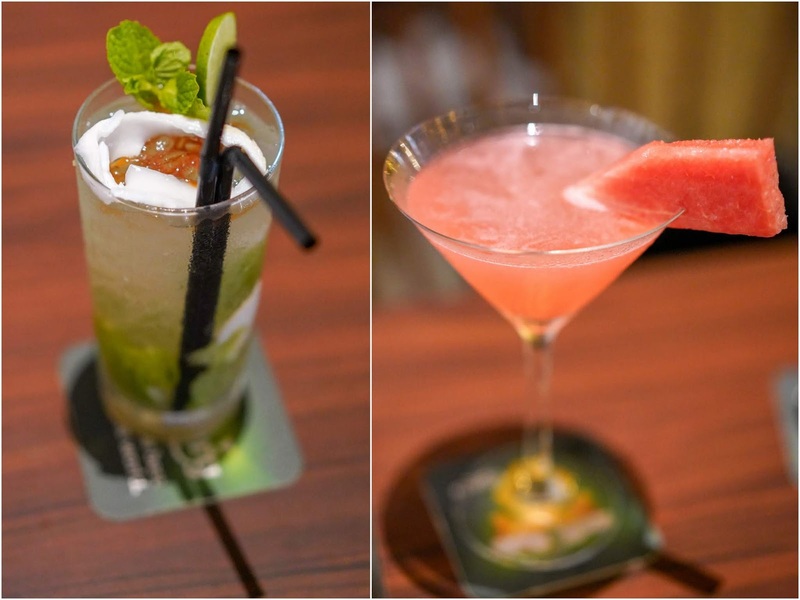 A full bar is available at RaamRavan - a distinctive coconut cocktail features fresh coconut and coconut water, while other more refreshing tropical crowd-pleasers include the watermelon Martini. 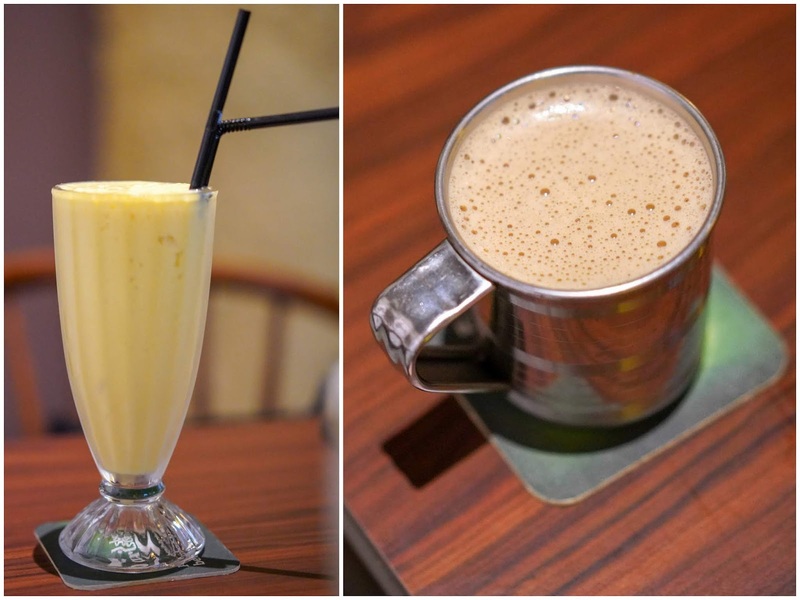 Teetotalers can opt for the likes of a mango lassi, or perhaps milk tea made with Sri Lankan tea powder. 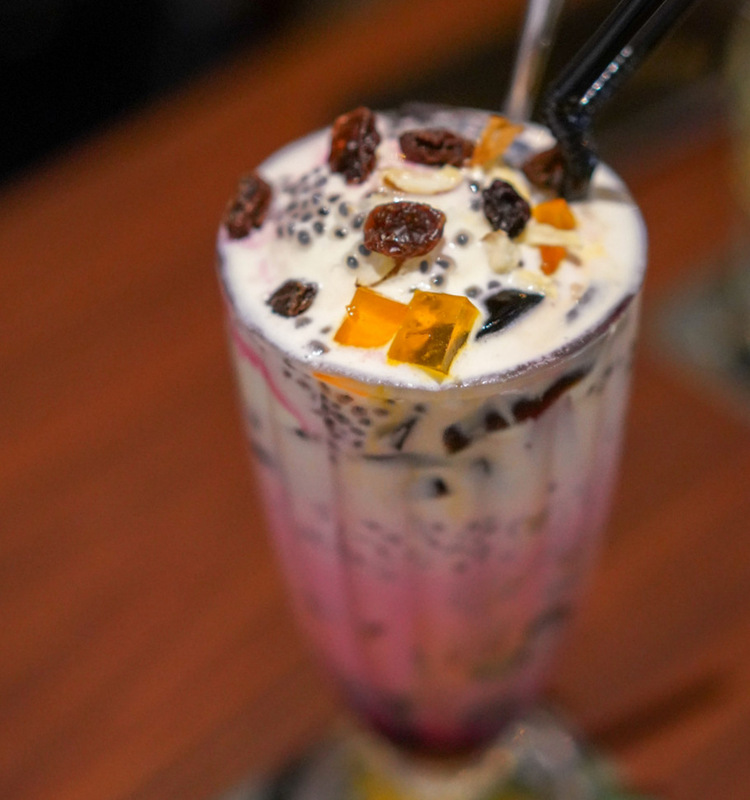 The faluda works as either drink or dessert, heaped with milk, ice cream, rose syrup and basil seeds. 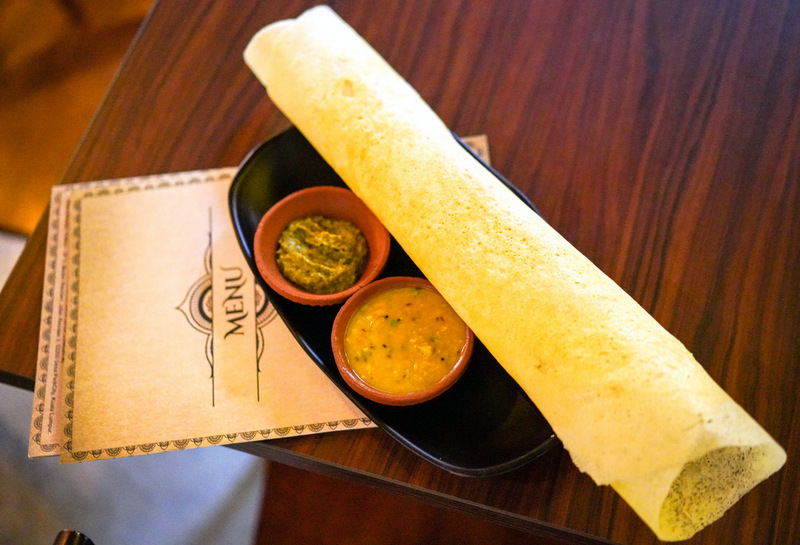 Many thanks to RaamRavan for having us here. 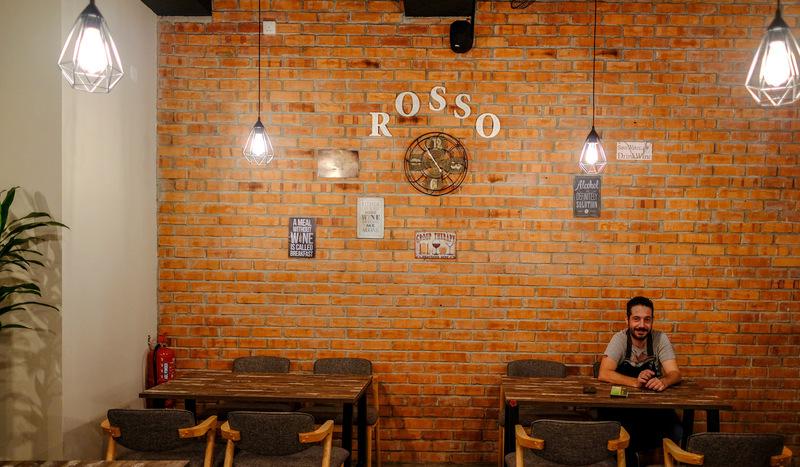 Ground Floor, Hutton Block, Plaza Arkadia, Desa Parkcity, 52200 Kuala Lumpur, Malaysia.